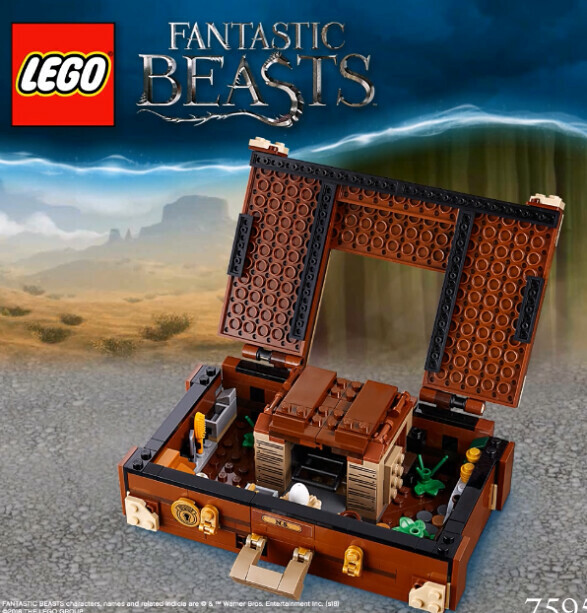 Home LEGO Fantastic Beasts LEGO Fantastic Beasts Newt’s Case of Magical Creatures (75952) Revealed! 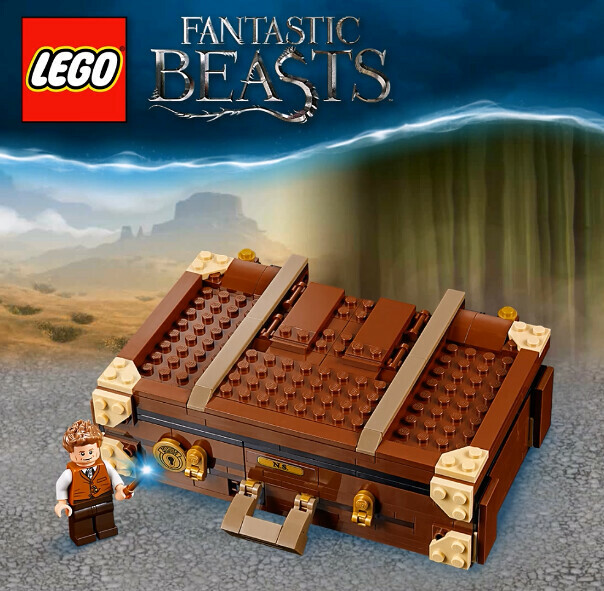 It seems to be that amidst the recent flood of new summer 2018 LEGO catalogs, the reveal of a brand new set went completely off the radar. Forums and chats have recently brought to my attention that there’s a hidden treat within the Danish version of the LEGO catalog. 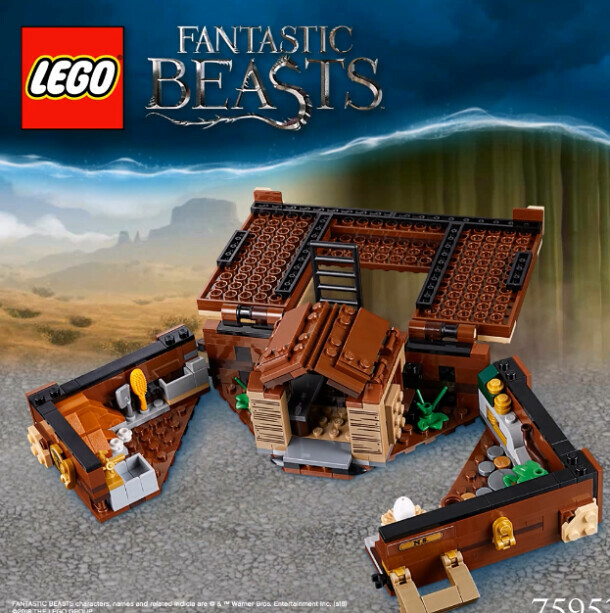 If you head on over to page 98 of the catalog (the Harry Potter section) you’ll notice that there’s a brand new LEGO Fantastic Beasts set: Newt’s Case of Magical Creatures (75952). 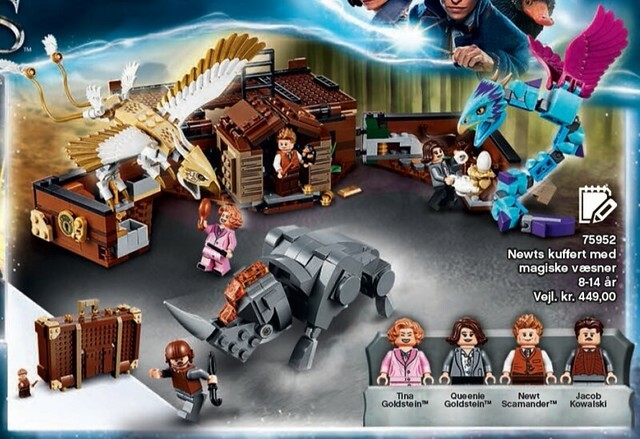 The set features four minifigs: Tina Goldstein, Queenie Goldstein, Newt Scamander and Jacob Kowalski along with 3 brick-built models of a Thunderbird, Erumpant and an Occamy. You also (obviously) get Newt’s actual suitcase that folds and unfolds. Regarding pricing, the catalog lists the set for 449 kr (Swedish Krona) which equates to roughly $50.00 USD. There’s seems to be a mistake over on the Brickset database, which currently has the set listed for $29.99. 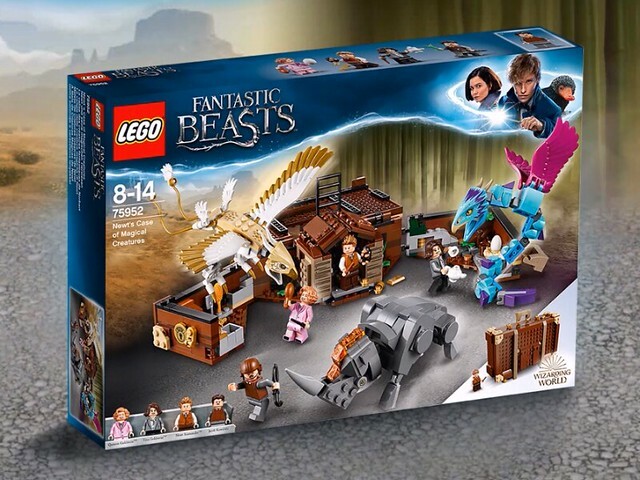 Update: While writing this article we came across images of the official box art for this set as well as better pictures of the set. Theses were posted on Instagram by user _dimaks_lego_. We’ve included them in the article.